It’s Friday night, but not as you know it. Everyone loves a few end of the working week drinks, but at most venues they can also break the bank. Not at Harbour Kitchen. We’re pleased to announced that we will be hosting the happiest of happy hours every Friday from 4 to 7pm. It all began tonight and it was great to see some smiling faces taking advantage of one of Melbourne’s best happy hour deals. 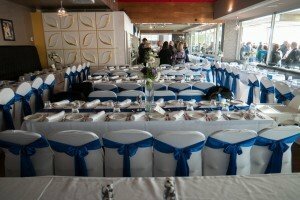 It just goes to show that Harbour Kitchen is more than just a great function venue. We’ve got all bases and tastes covered with our drink specials. For three hours, you can enjoy $5 basic spirits, pots of beer and glasses of wine. If that isn’t enough to tempt you, we’ve also got 2 for 1 basic spirits, perfect for those who want to get the evening off to an exciting start. We’ll also supply complementary food of booking over 10 people, so grab your friends or workmates to enjoy your Friday… at the right price. The only way these perfectly priced drinks could taste any better is if they were served in a beautiful, idyllic setting. And that’s exactly how we will be serving every happy hour drink that leaves our bar. As far as CBD locations go, it doesn’t get much better than the Harbour Kitchen function venue on the Docklands waterfront. Enjoy a glass of wine as the sun sets over Victoria Harbour, watch the yachts glide past while you sip a gin n tonic or have a few post work beers with your colleagues. For football lovers the timing of our happy hour couldn’t be any better. With the AFL season about to kick off, there will be games every week at Etihad Stadium and we are ideally placed, just a few minutes walk away from the oval. You can have a pre-game warm up at Harbour Kitchen; enjoying a few beers with your friends and fellow fans. If there wasn’t already, now you truly have a reason to celebrate Fridays!